Pure Essential Oils . Comforting. 100% Pure Essential Oil. 100% Pure Essential Oil. Eugenia Caryophyllata. Diffuse this Clove Bud (Syzygium Aromaticum) Essential Oil to uplift mood, repel bugs, improve digestion and ease tooth pain. This oil is a strong anti-oxidant. With a satisfying scent, this essential oil is just what you need. 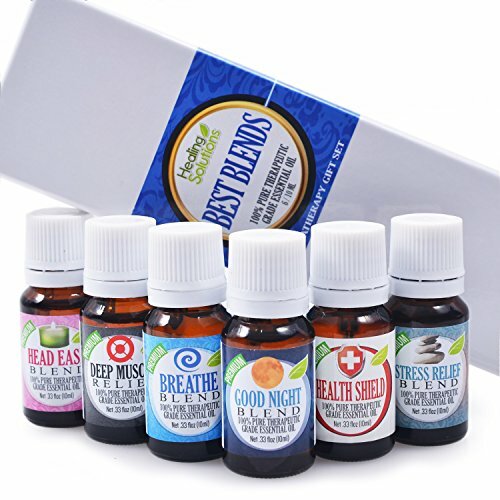 Great quality at a great price, these essential oils are incredibly concentrated and powerful to help you in multiple ways. Because of their strong concentration, ensure safe use by properly diluting with a carrier oil. Always test for skin sensitivity prior to widespread use. Keep out of eyes, ears, or nose. Keep oils tightly closed and out of the reach of children. Do not ingest essential oils unless guided by a trained professional. The information provided on this website is only our opinion and is not intended as medical advice or diagnosis. Statements have not been evaluated by the FDA and are not intended to diagnose, cure, treat or prevent any disease. Information on this page should not be interpreted as medical advice, meant for diagnosing illness or for prescriptive purposes. Always discuss any essential oil use with your doctor or trained aromatherapist. Features: States: Iowa Country of Origin: Indonesia Botanical Name: Syzygium Aromaticum Extraction Method: Steam Distilled Aromatic Scent: Warm, spicy aroma with hint of sweetness Middle Uses: Strong anti-oxidant, can uplift mood, repel bugs, improve digestion, eases tooth pain by numbing, use diluted to no more than 0.5-percent dermal application Caution: Do not use on children under 2 years old. May irritate mucous membranes. Do not use if on blood thinners, may cause interaction 100-percent pure, therapeutic quality Material: Oils About the Manufacturer: Welcome to Destination Oils. My name is Kara, and I am the owner of Destination Oils, a small essential oil business located in Iowa. We want to bring great, high quality essential oils and unique aromatherapy jewelry to the online marketplace. Our oils are 100-percent pure, therapeutic grade with no fillers, preservatives, or chemicals. Just oil. The best quality for a great price.
? Botanical Name: Syzygium aromaticum L. ? Main Constituent: Eugenol: 81.29%. Ever wonder where Clove Bud Essential Oil gets its properties from? ? Eugenol makes up 90 percent of the Clove Bud Essential Oil and provides potent antiseptic and anti-inflammatory properties. Eugenol also causes Clove Oil to have warming and stimulating properties making it a popular choice among aromatherapists. ? Plant Part: Buds. ? Origin: Indonesia. ? Processing Method: Steam-distilled. ? Description / Color / Consistency: A clear pale yellow to yellow liquid of medium consistency. ? Aromatic Summary / Note / Strength of Aroma: A middle note of medium aroma, Clove Bud Essential Oil smells like the actual spice. ? Blends Well With: Cinnamon Bark, Nutmeg, Citronella, Grapefruit, Lemon, Orange, Peppermint, Rosemary, and Rose. About Clove Bud: ? Clove Bud Essential Oil is derived from the slender evergreen that grows up to 12 meters in height (approximately 36 feet). ? At the start of the rainy season, long buds appear that change color over time and are beaten from the trees and dried. These are the cloves that are sold commercially. ? The word 'clove' comes from the Latin word clavus, meaning nail, because the shaft and head of the clove bud resembled an ancient nail. ? Cloves were among the most precious of spices of Europe during the 16th and 17th centuries, and were worth more than their weight in gold. They continue to be used in Ayurvedic medicine, traditional Chinese medicine, western herbalism, and in dentistry. Botanical Name: Boswellia Serrata Plant Part: Resin Extraction Method: Steam Distilled Origin:India Color: Colorless to pale yellow clear liquid. Common Uses: The therapeutic properties of Frankincense Essential Oil include use as an antiseptic, astringent, carminative, digestive, diuretic, sedative, tonic and expectorant. Frankincense is said to help rejuvenate the aging skin, and is effective with bacterial and fungal infections. The anti-inflammatory property of this oil is reputed to be an effective treatment for joint pain and arthritis. Frankincense can also be used as an insect repellent and is also widely used in cosmetics and soap manufacturing. It has a grounding aroma, and often used in meditation. Consistency: Medium Note: Base Strength of Aroma: Medium Aromatic Scent: Frankincense Essential Oil has a rich woody, earthy scent with a deeply mysterious nuance. Cautions: Frankincense Essential Oil is non-toxic, non-irritant and non-sensitizing. Avoid use during pregnancy. 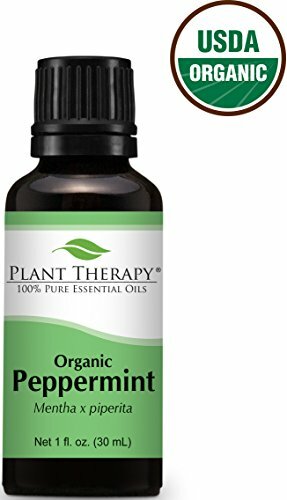 USDA Certified Organic Peppermint Essential Oil. 30 ml (1 oz). 100% Pure, Undiluted, Therapeutic Grade.